In a sentence or so: Two boys with the same name cross paths on a cold and fateful night in Chicago. Songs are sung, eyes are opened, and lives are changed. Meet Will Grayson. He lives by two rules: 1. Don't Care Too Much and 2. Shut Up. He does a pretty decent job of this, except where his best friend Tiny is concerned. Tiny is - literally - the biggest and gayest boy he's ever known. He's also his long time best friend and - though he would never admit it - he wouldn't want it any other way. Will's rules are first challenged when Tiny decides to launch a school musical starring himself and Gil Wrayson as his best friend. And AGAIN when Jane, the frustratingly adorable girl who is part of the small but mighty GLBT group at school, catches his eye. Are she and Tiny worth breaking the rules that have gotten him so far in life? 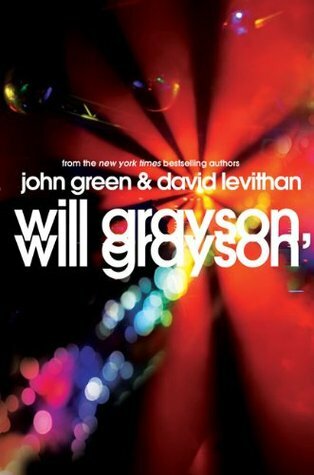 Meet Will Grayson. He is angry every day and teetering on the edge of severe depression. He generally hates people and life, but makes a few exceptions. He tolerates the emo and gothariffic Maura, who continues to poke and prod into his life (which guys LOVE, by the way...) and his fellow Mathletes. The only person he feels any true affection and care for (besides his mom, albeit reluctantly) is Isaac. Will looks forward to the parts of his day where he can chat with Isaac with giddy anticipation. All the anxiety and the frustration fall away when he's chatting online with Isaac. Having read John Green books before, and LOVING THEM, I knew what to expect from his chapters. Humor, self deprecating wit, a love interest who is smart and insightful and just a touch of nerd, and the best best friend you could think of. For the record, I was totally right. His chapters are all of those things. Having never read a David Levithan book before, I didn't know what to expect. What I found was a perfect compliment to the JG chapters. His chapters were raw and gritty and unflinching in their bitterness towards the character's world. It made me uncomfortable to read them. That's when I knew I was in love with this book. I loved a character who hated the world. For a book packed with coming of age goodness, completely YA yet completely profound relationship insight, and characters that are so sincerely intellectual and real you want to invite them over for dinner to chat late into the night, check this out. You will be emotionally invested within pages and the coming together of all of the characters is sweet, unexpected, and completely fulfilling. Fix er up: Honestly, the only thing that would have made this book better would be to hear the songs in Tiny's musical. Short of that, this is just perfect the way it is. 1) David Levithan IS writing the Tiny Cooper musical! 2) David Levithan is my dream boy friend. Two words boy friend. BUT I LOVE HIM MADLY. Lisa, go read his books instantly, please and thank you. 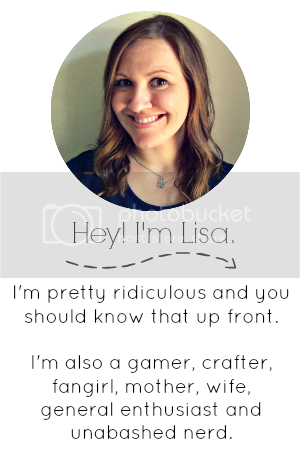 I really liked your review! Having read this book already and also loved it, I can say with confidence that you did this book justice. My son is having a rough time right now...I sent him that quote. Thanks! I still haven't read this book, but it's definitely on my list. There are so many solid quotes in this book. Mine is slathered in highlights already! Love the review ;) [insert comments about meaning to read this book forever etc.] This all makes for a very boring post comment. But I enjoyed reading your reaction and just thought I'd stop by and say so, lol. Agh. WHY haven't I read this yet?? I'll definitely be getting to it within the next couple months, you can be sure of that. TINY COOPER = one of the best fictional characters ever! I can't wait for the musical because I can only imagine it will be as epic as this book. AAAAHHHHHH. you know how much i love john green and tiny because i nag you about them all the time. do you know how much i love david levithan? DO YOU????? random Asheley fact (you know you love them): LITERALLY every morning i go read @loversdiction, which is David's twitter stream. the entire thing. over and over, every day. i love it so much. it is a complement to The Lover's Dictionary which MUST be your first Levithan book. it MUST. i cannot make it through the day without reading his twitter stream. go there and you'll understand if you don't already follow. and for the love of all things Batman, find The Lover's Dictionary and bask in the glory of alphabetical wordplay at its finest. do it for me. please. but i digress: yay for WG, WG. and Tiny. and the musical. big smiles everywhere. I'm all over @loversdiction, no worries! And I promise to read The Lover's Dictionary this year. Tiny Dancer is going to be a real musical? OH PRAISE THE LORD I AM SO EXCITED. Also. I am so excited you got to experience David Levithan. He is awesome. You should totes go read Love Is The Higher Law, I think you would like that jam. AND OMG JOHN GREEN AHHHH. I pretty much dog-eared every page in WG,WG, because when they combine their powers they form something akin to Captain Planet but with books and IT IS AWESOME.